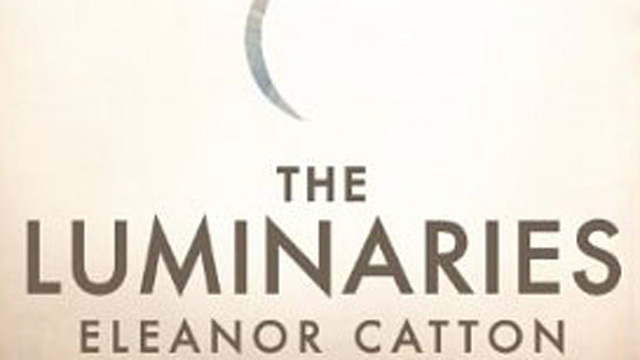 As already noted, I really enjoyed the discourse flowing around the greatest literary occasion to hit NZ in a long time: Eleanor Catton’s The Luminaries winning the 2013 Man Booker Prize. It’s also been great reading more thoughts from Catton via interviews and such, they’re all over the internet. And it’s good she’s not shy with her opinions. And unsurprisingly, prevailing opinion favours The Luminaries. But it is not unanimous, and I know that some are not attempting or finishing the novel, and there is a reason for that. Upon finishing The Luminaries, I felt fulfilled, satisfied and teased out as if after an actual physical workout, but I’d be lying if I said I loved it right from the start. While I don’t do reviews, as such, I will sound off on books that I like, and I figure a little light analysis might help people know how or whether to try The Luminaries out. Upon winning the Booker, VUP’s Fergus Barrowman himself said the book had a slow start. So I think the first thing to point out is that if you can get a quarter through the book, you might as well keep reading, it will only get easier, better, and more enjoyable. This is not to say the first chapters aren’t skilfully wrought. The Luminaries carries two stories. The one that kicks the novel off is an intricate tale of a dead man’s gold and what 12 men know about it, which of course includes all the lies, misunderstandings and machinations with each person’s “whole truth” making nothing so true, but nothing less whole than a wheeling constellation of relations. This story, the messy intrigue of “the whole truth”, is well-served by the astrological origins of the text’s structure. Where the novel shines, however, is towards the end. Catton herself has stated her story is, at the heart of it, a love story, and I would agree. But this heart it is only felt in the final, revelatory third once Staines is found and the text tapers to “nothing but the truth”, without the embellishments surrounding the dominant gold/mystery story. The Irishmen Paddy Ryan appears for one moment just to mark this transition where the lovers’ tale emerges from the body of the other. “Give us a tale and spin it out, so we forget about our feet, and we don’t notice that we’re walking,” he says. In The Luminaries there is a lot of palaver from tenuously connected characters, many minutiae of shipping and insurance, the tiny yet significant details of typesetting a paper, and a general mix of coincidences and contrivances that bring the constellation of events together. This is not a criticism in itself, but as these relations are so slender and transient, a lot hinges on whether you are engaged by the presence of the Victorian-style narrator and her insights and asides as to whether you “forget your feet”. I do like a little narration; a good narration not only reminds us we are engaged with a text but invites us to make our own external connections between it and our world. While others, apparently, have been appropriately bewitched by The Luminaries’ narrator, she remained aloof for me. But while the early content might be a barrier to some persevering with the novel, Catton’s writing is still a huge ameliorating factor. Her skill with sentences is what makes this conflation of circumstances readable, much less converge with masterful sense. The Luminaries is a novel that shouldn’t work, doesn’t quite work, yet does its work perfectly. Together the two stories comprise “the whole truth, and nothing but the truth”, suitably intertwined by the Carvers’ ambitions, and in this the text seems to execute the author’s intent. I confess a wish for the lovers’ and their antagonists to have spent more time centre-stage in a story told with the élan of The Luminaries’ final third. But that would have been an entirely different novel. As everyone who loves literature probably knows, Eleanor Catton was awarded the Booker Prize this week, for The Luminaries. Google has you covered for most of that coverage, or @fergusvup on twitter, or Bookman Beattie’s blog. As mentioned previously, The Luminaries was on my must-reads before it got longlisted, but since that time I actually found the reviews themselves diverting enough for me to delay reading the actual book, allowing myself more time to digest the discourse around the novel to inform my reading. As with 90% of most media products, 90% of “reviews” were drek – just recycled clippings of basic facts: long and physically heavy (work-out jokes), 832 pages, astrological system, intricately unfolding murder mystery, gold rush 1800s Hokitika NZ. More recent reviews, since The Luminaries made the shortlist and won (I’m thinking New York Times, and an Irish or Scottish paper? They didn’t grab me enough to bother linking) were more suggestive in terms of big themes and import: the value of love versus gold, although unsurprisingly with a novel this length and complexity, any review struggles to encapsulate this adequately. As author of a soon-to-be published long novel, I know this; we ask potential readers to take a lot on faith. Aside from a review via dialogue from two Victoria University students, as insightful as capering Shakespearian fools, there were a troika of reviews, below, that struck me as most interesting as critiques, and it comes largely down to the novel’s design. Now, I pity poor Catton, in one regard, because the first question it seems she ever got asked in any interview was “Wow – long book. Why?” Her response, naturally was to explain it as a product of design almost outside her control, with the astrological necessities creating constraints for her to work to and the twelve chapters diminishing by half the previous as progressed, and so on… and she is clearly satisfied and proud with how this panned out (by which I join the bad-pun brigade, sorry), and spoke on this at length. This was picked up and became the defining aspect of the novel in the press; if she did discuss any of the import or themes of the book, it was dwarfed by the coverage given to the book’s structure. The consequence being, because of our media’s blaring, echo-chamber effect, that this intricate design became the summation of that pernicious beast, the author’s intent – the question then being, is this architecture, however perfect, all there is to The Luminaries? For me, I think Guy Somerset raised this question in review, himself dubious of the answer; CK Stead asked it in his own way and found the novel lacking (The original title was “All that glistens”, from memory); and KIrsty Gunn did the same but came out with an emphatic affirmative of the novel’s worth. All of which makes me think it is a question worth asking. A good critique should arm the reader with the tools – the right questions – to dig into the field of the text and find their own answers; a good review should at least tip who would be likely to enjoy a book (and not in a snarky way, or don’t review it at all). Since winning, Catton appears to have hit out at such reviews as Stead and Somerset. Putting aside the tone taken by individuals (a hard thing to ask of any author, I admit), the impression I received across the strata of reviews was the book might well be a glory-box: beautifully, artfully made, designed to hold treasure, and bore the name “glory”, without much exploration of whether it was empty or full. Perhaps a metaphor that suits the pseudo-Victorian style… It is, of course, impossible, now, to write a 19th Century sensation novel; is it possible to even ape that mode so perfectly that the thinking of an author 150 years distant doesn’t seep through? Catton has apparently done her research, and her skills and will are formidable enough, and her design arbitrary enough, that I suspect she would be one of the few able to do it: if she chose. If she chose to crop away the modern-day, couldn’t what’s left feel somewhat hollow? Beyond the novel, success at the Booker has given Eleanor Catton a profile, and I hope she works hard to make it one that truly reflects the person she is, the things she values, her depth of thought. The mainstream media is trite, superficial, and loves gossip, even the erudite sectors. She has already, by her own admission, tripped up talking too loosely to journalists (New Zealand lacking a culture of reviewing, she said), and she has to decide how to use the power the spotlight brings. Arundhati Roy, for instance, has not written a novel since The God of Small Things, but used her profile to fight for justice and sovereignty in India – duly ignored by the mainstream media (see how quickly Catton would become “that crazy astrology lady” if she starts banging on too much on the wrong topic – say, the impact of industry on global warming). This is all the more important in a year the Man Booker has decided to open itself up to all UK-published works in English. In doing so it is undeniable that this institution has an agenda, a “growth” path for itself, in the corporate model, and it doesn’t appear to involve widening the platform to expose writing talent or even more cash. The only motivation seems a vain hope to aggrandise itself as the anointer of one champion of the writing world. And so not only has Catton won the Booker prize, but the Man Booker has awarded itself a dazzling young star to spearhead its charge on the USA – hoping Americans will notice. For 50,000 pounds? I’m not sure who got the better bargain. I do know that prizes, while a lottery when you get down to it (comparing apples with oranges and bananas) are invaluable to authors at all stages of their career. The awards for my extracts were hugely motivating and gave a sense of purpose in a pursuit where you have no empirical proof of performance or improvement, not like sportsfolk, or even worth – sometimes not even once you jump that “last” hurdle, getting published. We should be making more prizes, not heading towards a unification bout between the Booker and National Book Awards. Locally, I hope someone as appealing and articulate as Eleanor Catton can make an impact on the fortunes of the NZ literary environment, at least lifting the profile of NZ writers, if not encouraging more funding. Given, the current government’s bullying approach to public intellectuals and culture, she could be just the person to take them on. From the myriad possible entry points to blogging about something other than my own novel, I lit upon some exciting New Zealand fiction from two young authors I’ve enjoyed in the past. I’m generally slow to jump on first-book bandwagons, but when I find them both enjoyable and noteworthy I’ll always pick up their second faster. The first is Anti Lebanon by Carl Shuker. Admittedly I only picked up his first novel The Method Actors, in 2006, because I was deep in my own first draft at the time and wanted to see what a debut novel had to do to win $65,000 (The Modern Prize in Letters from Victoria University of Wellington – didn’t last long, sad to say). There are various other intelligent and feeling things featured around that line on the topic of a hidden massacre of Chinese by the Japanese, a storyline that forms the spine of the book, but damn me if that wasn’t the most worthy single line I had read for a long time. James McNeish recently gave a Janet Frame Memorial lecture where he praised Sarah Quigley and Lloyd Jones (about 20-26 minutes in) as NZ authors with something to say – I say Carl Shuker is one of those authors. He shows a critical awareness when viewing the world and its ley-lines of power. So, however effective the writing in Anti Lebanon, knowing the author and the topic, I am confident I will find it a worthy read. The second author is Eleanor Catton. Her The Rehearsal is a more recent publication. Like The Method Actors, it featured multiple narratives and is credited with a risky experimental structure. The style is far more polished, however, as sumptuous and seductive as the central arc, that of the goings-on between a schoolgirl and teacher. Her new novel, The Luminaries, sounds somewhat similar, but taken to the next level. You have a small town instead of school community, a death instead of a dalliance, and a mystery around exactly who-what-why, with the setting of the 1860s gold rush and (I think?) some astrology to boot. Catton is an extremely talented and award-winning writer, and already Booker nominated for this novel, so I’m sure it will dazzle.